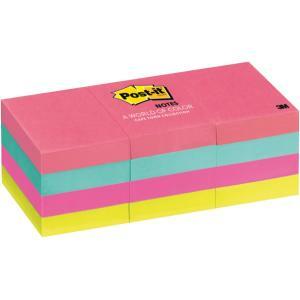 Post-it® Notes 34.9 x 47.6mm size are perfect to record a phone number or a quick note. A World of Colour Cape Town Collection portrays a vibrant palette that's true to this port at the Southern tip of Africa. 12 Pads/Pack.